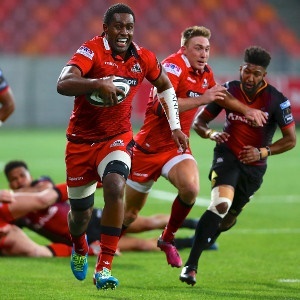 Cape Town - The Southern Kings remain winless in the PRO14 competition as they went down to Edinburgh at the Nelson Mandela Bay Stadium in Port Elizabeth on Friday evening. Edinburgh won 48-21, after leading 22-16 at half-time. The home side scored two tries through Harlon Klaasen and Dries van Schalkwyk, while Kurt Coleman landed a conversion and three penalties. Meanwhile, the Scottish outfit scored seven tries through Fraser McKenzie, Viliame Mata, Grant Gilchrist, Dougie Fife and a second-half hat-trick by Sam Hidalgo-Clyne. South African-born Jaco van der Walt landed two conversions and a penalty, while Hidalgo-Clyne kicked three conversions for the visitors. On Saturday, the Cheetahs take on Welsh club Scarlets in Bloemfontein at 19:35.